Cinema Lorosae: "Bloodshot" iha lian TETUM! 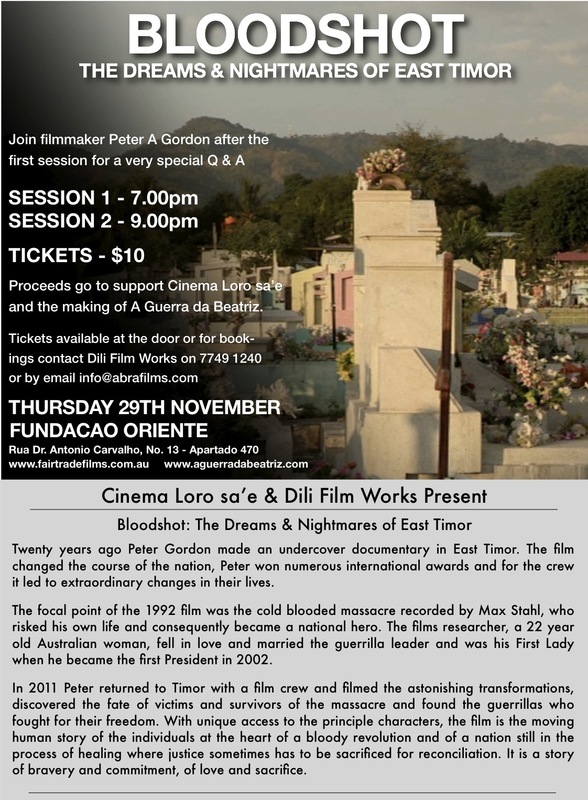 In addition to the screening at Fundacao Oriente on Thursday evening (in English) Cinema Loro sa'e will be presenting the Dili Premiere of Bloodshot in TETUM, this Friday the 30th, in the courtyard of the new Resistance Museum. The screening will be at 7pm, with Producer Peter Gordon, visiting from England in attendance. Admission is FREE.